The Surf House accommodates up to 6 guests in 3 rooms, all of which can be private. The multiple rooms can have different configurations. They are known as TimsRoom, StaceysRoom, and LachsRoom. Scroll down to each room name to view a description and a photo. Please note that Jen and Steve live in the house! This room is downstairs and has been recently refurbish into a double room. There is a shared bathroom on this level. 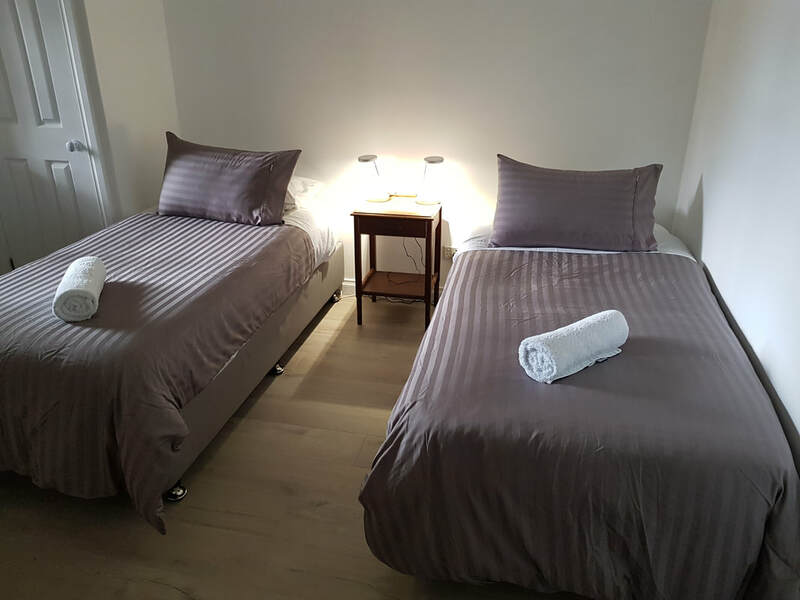 This room is ideal for the solo or duo traveler(s), accommodating 2 people. It can be a shared room. If the 2 people are strangers then it would be with someone of the same gender. There is a shared bathroom on the same level. 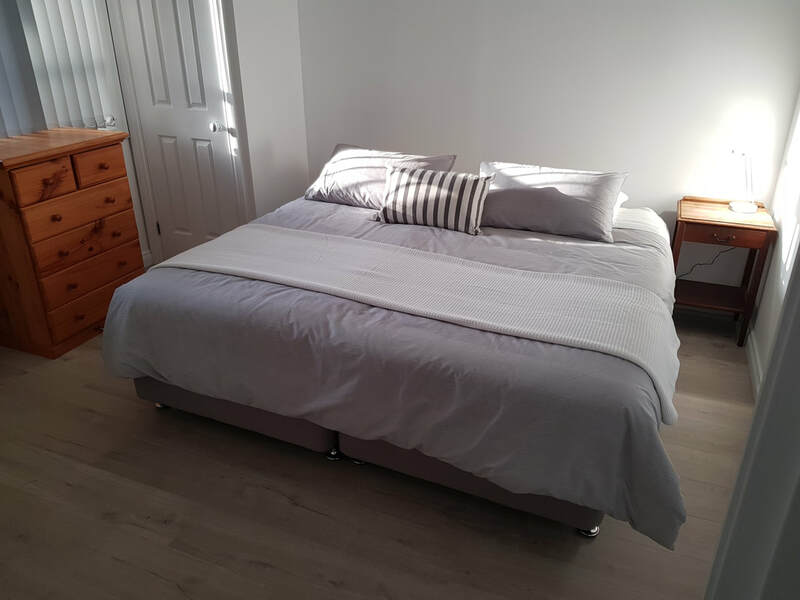 This room is downstairs and can accommodate a couple in a king size bed, or, the room can be set up for two travelling singles. There is a shared bathroom on this level.